New issue of The Sound Projector out now! 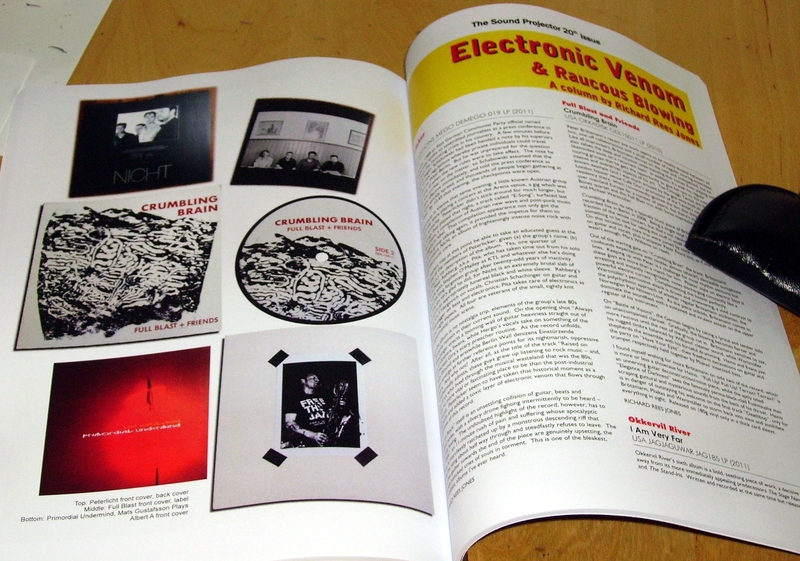 The new issue of Ed Pinsent’s wonderful music magazine The Sound Projector is out now. This is a special all-vinyl issue containing nothing but reviews of vinyl LPs and singles, along with many sumptuous photographs of album sleeves, coloured vinyl discs, labels and inserts. 128 exciting pages – and for the first time, the magazine is available in two versions, full colour and b&w! The Thing – Bag It! Fire! – You Liked Me Five Minutes Ago, Unreleased? You can read full details, including how to buy, here.